Alan B. Peck is in charge of the transactions practice area at White Peck Carrington, LLP. 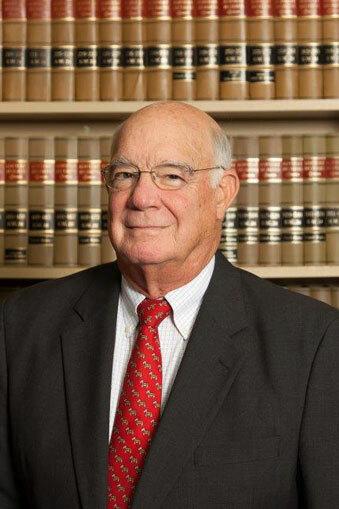 Mr. Peck has been practicing law since 1968 with extensive experience in the areas of real estate transactions, business organizations and corporate law, banking and finance, estate planning, probate and estate administration and elder law. In the real estate area Mr. Peck prepares all types of real estate related documents such as purchase and sale agreements, deeds of conveyance, mortgages, promissory notes and leases. He assists clients in subdivision development, planning and zoning issues and condominium and planned development formation and governance. He also supervises real estate title examinations, renders title opinions, provides title insurance policies and conducts real estate closings. For his business clients Mr. Peck provides formation of business organizations such as corporations, limited liability companies, general partnerships, limited partnerships and limited liability partnerships. He also handles business and corporate law matters such as corporate governance, buy-sell agreements, non-compete agreements, employment agreements, asset purchase and sale agreements and stock purchase and sale agreements. In the banking and finance area Mr. Peck has acted as general counsel for three independent banks for over forty (40) years advising, and providing legal services, on a wide range of financial institution issues. Mr. Peck handles all aspects of estate planning such as consultation and plan development and preparation of wills, trust agreements, general powers of attorney, health care powers of attorney and living wills. He also gives advice and provides documents in the ever expanding elder law and Medicaid qualifications areas. In probate and estate and trust administration, Mr. Peck probates wills, handles appointment of executors, administrators and trustees, guides executors and administrators through the estate settlement process and trustees through the trust administration process. He also prepares state and federal inheritance and estate tax returns. Mr. Peck has been married to Patricia Stacy Peck, a native of West Liberty, Kentucky, since 1967. They have three children. Currently, the grandchildren count is at seven - and expected to grow. Peck's "away from work" interests are fishing (smallmouth bass, redfish and snook), bird hunting and golf.